I have been trying to read this book since I started my little list and for something just under 400 pages it’s been a bit of an ask. I just can’t get around the old time english, I can’t get my tongue to wrap around the words meaning extra care… and time needs to be taken. It’s a book which requires me to concentrate, re-read and absorb. And as a fallen bookworm this bothers me… I used to be able to read 3-5 books in a week, entire books in a day. 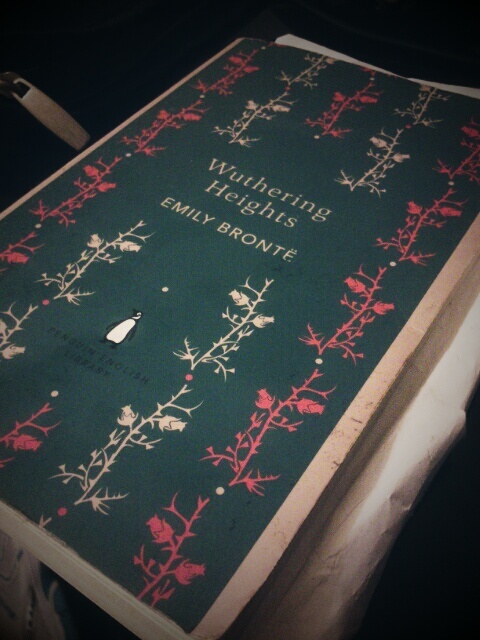 Wuthering Heights will not be the book to defeat me. Keep at it! I tend to mindlessly read and I hate it. I can’t recall what I read a couple of pages back.